Aaron Hicklin of One Grand Books asked people to name the 10 books they’d take with them if they were marooned on a desert island. 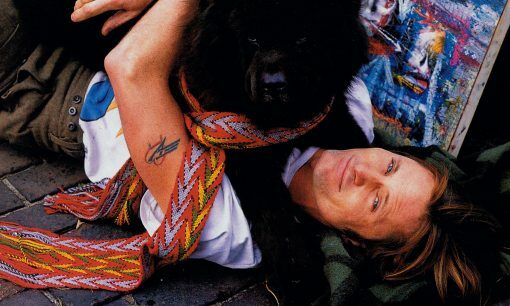 Viggo Mortensen's list ranges from The Origin of Species to Faust to Howard Zinn's People's History of the United States. 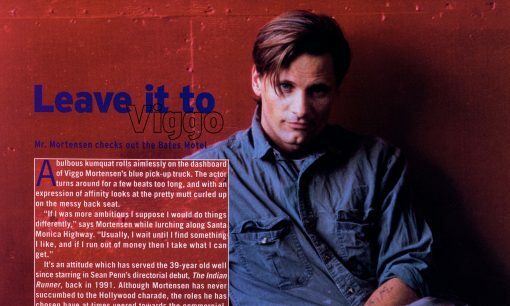 The usual FAQs about Viggo Mortensen plus some details that were new to us. Topics include early films, being calmed by horses, that scar on his lip, art and music, university, and Henry. 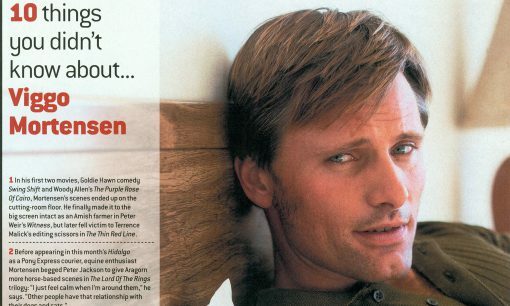 A good man is hard to find: from supporting actor to rough and rugged lead, Viggo Mortensen’s newfound success represents a return to the classically masculine Hollywood hero. Here, photographer Terry Richardson presents an intimate portrait of the Lord of the Rings star at home on the ranch. Saddle up! 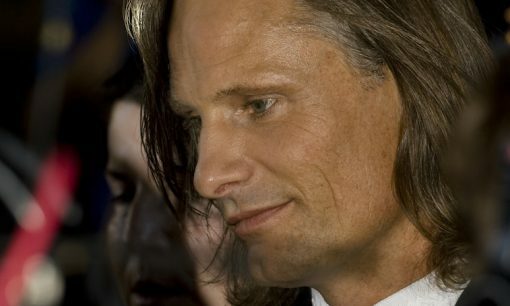 It was only tabloid gossip, but relatives in Denmark rejoiced when they read that Viggo Mortensen was dating his A Perfect Murder costar Gwyneth Paltrow a few years back. "Maybe she'll make you pay more attention to your own grooming," they told him. Not a chance. The Manhattan-born actor ... prefers painting ... to primping. 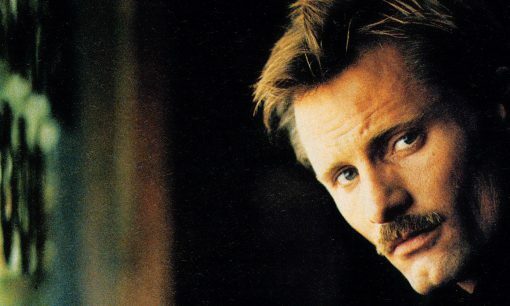 Viggo Mortensen speaks briefly about how he chooses his film roles, and on recreating Psycho. "If you're going to do a remake of a movie, this is the one to do it with because the formula works so well." 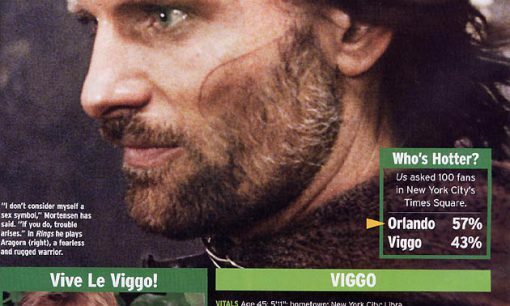 A brief summary of Viggo's film roles to date. "Critics find in him a romantic waiting to be released." The best part is the photograph.